p31 Antimicrobial Resistance: The threat of the 21st century? Sign up to start enjoying all of the benefits! SIGN UP It’s Free! Messages From The Team Dear EDSA family, Welcome to the first magazine of 2019! It is a real honour for me to take over the role of Editor-in-Chief of EDSA Magazine after an amazing two years from Linnea Borglin - these are certainly big shoes to fill. This edition sees a huge breadth of articles, with some really interesting pieces ranging from clinical, such as the article discussing reduced mouth opening, through to subjects as diverse as Brexit and Behavioural Economics, and their interplay with oral health. Dentistry is such a diverse profession, and looking at it from different perspectives is essential in finding solutions to help our patients and the population at large. I would like to thank the contributors for all their hard work in producing these articles and invite any interested students to contribute to this great magazine! Finally I would like to thank Ivana, the Magazine Co-Editor for her great work and ideas, as well as our sponsors for helping us to produce such a beautiful magazine. Welcome to those of you in Kazan and to everyone reading this in their own countries. I hope that through the exciting and very informative reading of this magazine you will appreciate as much as I do the great quality of work of our Editor-in-Chief, James Coughlan, and that of our co-editor Ivana Ligusova. On behalf of the entire executive team, I would like to thank them for this remarkable first magazine of the year 2019, a great testament to their many hours of work. I would also like to thank the entire team with whom I had the pleasure of starting this mandate: we have had an excellent and productive start to the year and I am sure we will keep this energy and motivation until the next magazine! I would like to invite all students to get involved in EDSA - there are now more opportunities than ever! The World Economic Forum recently published an article about the most important skills every student needs in the 21st century. The top three were: critical thinking, probem solving and creativity. The gap between the skills people learn and the skills people need is becoming more obvious - the traditional learning often fails to equip us with these skills, which are increasingly important in todayâ&#x20AC;&#x2122;s world. That is my answer when someone asks me why am I still active in our national association or in EDSA - it has taught me many of these important skills. Helping with this project also gave me the courage to restart the dental magazine in my country, and we finally have the printed version with many doctors and students writing for us. It would never have happened without learning from James who answered all of my questions about design. they have the whole country as their constituency. The number of MEPs for each country is proportional to EU Member States population. MEPs pass EU laws and approve its budget, along with the European Council, which represents the heads of state of each country. MEPs also help nominate the President of the European Commission, and subsequently the EU’s administration. What are the greatest challenges of the next term? horizon 2024. With the 2019 European Parliament elections looming large, EU citizens will have a chance to voice their expectations to set into motion a genuine EU health strategy. Why Vote Politicians want to get elected, and so target their policies towards the groups who are most likely to turn up to vote. Whichever party you vote for, the more young people that go out to vote, the more policies will be implemented that benefit young people. EDSA Survey: How does eHealth affect patient care in Dentistry across Europe? A student perspective. In an ever-advancing technological society, how is dentistry adapting? eHealth plays a large role in healthcare, but what effect is it having on patient care? This study was created to investigate the successes and downfalls of eHealth within dentistry across Europe, from a student perspective. from yes/no/maybe closed questions to open, long answer questions. A total of 108 students answered the questionnaire, from 24 different countries. This is shown below in figure 1. When asked why, students gave reasons seen figure 5 An astounding 46.3% said they had had trouble with electronic patient records. The next series of questions concerned health apps. Firstly students were asked whether they used Apps with patients (examples given to students included tooth-brushing apps, diet apps and smoking cessation apps) to which only 16.7% said they used them. Further to this they were asked to what extent they trusted apps, the answers are shown below in figure 9. 74.1% of respondents, despite previous concerns were happy about their professions progression towards more technology, and in another question it was discovered that they find using components of eHealth in their practice beneficial. This is demonstrated below in figure 12. However, despite students clearly feeling positive about the advance in technology within dentistry and dentists’ dependence to it, 67% still have concerns/ might have concerns as shown in figure 14.The reasons for this are shown in figure 15. The final topic discussed was regarding universal systems within practice such as shared patient data, radiographs and medical details amongst different establishments and healthcare professions. For this, 41.7% of people answered that they did have universal systems put in place, 29.6% said they did not, and 28.7% said they were unsure. However, despite less than half of the cohort using this type of system. 76% would find a universal system helpful. were commonplace within the answers as well as user-friendliness of systems, speed problems, the issue of choosing a single program/company, increased prices and slow improvements due to lack of competition. Conclusion Despite the problems, majority of the students feel happy with the shift towards technological dependence, and seem ready for future advancements. 85% feel eHealth is beneficial for their patients, despite concerns highlighted in figure 15. A large proportion of the students use components of eHealth to some degree in their daily practice, with very few students relying solely on paper/wet film Europe-wide. It is clear that there are still problems to overcome and improvements that need to be made before technology within Dentistry can be wholly relied on. Despite there being some evidence of best practices, it seems as though these problems are experienced Europewide. This paper demonstrates that until these issues are resolved, robust and straightforward fall-back procedures should be put in place, with the necessary training accompanied alongside. Finally, students highlighted that eHealth is an essential aspect of their careers and is very beneficial in aiding them, but should never replace aspects of their care. References 1. Oh, Hans; Rizo, Carlos; Enkin, Murray; Jadad, Alejandro (24 February 2005). “What Is eHealth (3): A Systematic Review of Published Definitions”. Journal of Medical Internet Research. 2. Eysenbach, G (18 June 2001). “What is e-health?”. Journal of Medical Internet Research. 3. Ball, Marion J.; Lillis, Jenifer (April 2001). “E-health: transforming the physician/patient relationship”. International Journal of Medical Informatics. 61 (1): 1–10. CAD CAM Made Simple As dentistry goes digital, CAD CAM will play an ever more prominent role in the way that prosthetic dentistry is carried out. But how does it work? What does it stand for? Two spanish students give you an introduction to this innovative technology. become increasingly popular in order to operate more efficiently. CAD/ CAM increases the patientâ&#x20AC;&#x2122;s satisfaction and can be an ergonomic tool for the dentist. Reduced chair time and fewer number of visits contributes to improve patient satisfaction. Clinical outcomes are satisfatory both for the patient and dentist. Digital work flow can be used in restorative dentistry, implantology and orthodontics. By using CAD/CAM, the fabrication of inlays, onlays, veneers, crowns, dentures, implant abutments and orthodontics appliances can be easier, quicker and more accurately carried out. In orthodontics, the possibility to obtain a following of the impression with a digital storage and the possibility to print them with 3D printers is of great interest. The transfer of the data offers a faster aligner treatment plan. Intra-oral scanned images can be integrated in a multidisciplinary open system, incorporating CBCT, facial scanner, and digital jaw motion record. The concept of fully digital restorations open new horizons like the possibilty of using scanned natural teeth from a donator instead of handmade shape to offer more natural smile to patients. Natural shapes can then be adjusted to the patientâ&#x20AC;&#x2122;s face. Extraoral facial scanner datas and digital smile donor datas can be integrated on a programme to show the patients the final results. None of this would be possible in the analogue world. The future of dentistry is definitely a combination of the analogue and digital workflow, but it will be the digital technology driving it forward. Head & Neck Cancer - Still a Killer The deadliest cancer that patients have never heard of. Dentists are on the first line of defence against head and neck cancer, but spotting it early is essential. Antonija Taskera tells us more. CLINICAL cancer can develop. Despite its increasing prevelance within modern western society (especially in people older than 70 years), there is little awareness about it and outcomes are very poor. Even though it may be visible and a diagnosis can be made during the extraoral and intraoral examination of the patient, it is often not picked up until the later stages where there is a poorer prognosis. When diagnosed, 60% of the people with head and neck cancer have locally advanced disease and 60% of diagnosed patients will die within 5 years. On the other hand, for patients who are diagnosed in the early stages of the disease there is an 80-90% survival rate. Therefore, an early screening and prompt referral are of the utmost importance in the case of head and neck cancer. Risk factors and common symptoms Data show that there is lack of awareness in patients when it comes to head and neck cancer and its risk factors. Alcohol and tobacco are the main risk factors for head and neck cancer. Smokers have a 5-7 times higher, compared to non-smokers, and as many as 40% of the patients with head and neck cancer are regular consumers of alcohol. Men who consume more than three units and women who consume more than two units of alcohol per day are at a significantly higher risk of developing head and neck cancer. Even more, alcohol and tobacco work synergistically; alcohol increases cell permeability for cancerous components of tobacco smoke. The Human Papillomavirus (HPV) is also associated with causing a number of head and neck cancers; it can cause cancers of the throat, tongue and tonsils, otherwise known as oropharyngeal cancers (OPSCC). There is an increasing connection between HPV and oral and neck cancer in younger demographics. Other risk factors are poor nutrition, precancerous conditions which present in the oral cavity and precancerous lesions in the oral cavity, various endogenous factors, viral infections, immunodeficient conditions and the state of teeth. According to a 2015 survey by Hertrampf et al., men are 2.5 more times more likely to be diagnosed with some form of head and neck cancer than women and 3 times more likely to die from this tumour; however, it has also been reported in this survey that the incidence of mortality in women increased during the last decade, while incidence and mortality in men remained stable at a high level. In its early stages, head and neck cancer is generally without major symptoms; they are often expressed in its late stages. Patients usually report symptoms such as discomfort and tingling sensation in the mouth area; often, they present with dysphagia, aphasia, increased tooth mobility, bleeding in the mouth area and earache. Rarely, the first symptom can be the enlargement of the lymph nodes. The role of dentists The importance of early diagnosis of head and neck cancer and the role of dentists in it has been notably emphasised. During the intraoral examination, along with the teeth inspection, dentists should also pay attention to the oral mucosa, especially to the area where the incidence of head and neck cancer is the most common: edge of the tongue, the bottom of the mouth cavity, palatoglossal and palatopharyngeal arches, retromolar spaces and the gingiva of the lower jaw. If there are some abnormalities in those areas, biopsy and pathohistological finding should confirm is there is a malignant formation. The most important thing is the early discovery and to act on time. Cancer diagnosis can affect people in many ways. It is very important that people have the right information, can make quick decisions and effectively cope with it. There are many organisations and support groups which help patients to cope with their illness. Dentists should also be there for their patients in their hard times and be supportive during their therapy. 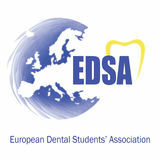 Collaboration and the future EDSA, European Dental Studentsâ&#x20AC;&#x2122; Association and Make Sense campaign have recently formed a major collaboration. The Make Sense campaign is a unique initiative by the European Head and Neck Society (EHNS), led by Prof. Wojciech Golusinski and Prof. C. RenĂŠ Leemans. The EHNS itself is a multidisciplinary body that brings medical experts from many disciplines together - head and neck cancer specialists, oral and plastic surgeons, radiation therapists, medical oncologists, imaging specialists and pathologists. The society also brings together other stakeholders, including speech therapists, cancer nurses, psychologists, physiotherapists, dieticians, social workers, basic scientists and patient organisations involved in any aspect of head and neck cancer and in any aspect of the care of the patients. Through the Make Sense campaign, the EHNS aims to raise awareness of head and neck cancer symptoms and subsequently drive earlier presentation, diagnosis and referral. EDSA supported the Fourth Annual Awareness Week by posting campaign materials and messages on their official Facebook page. Living in the recent years of social media, these posts generated many views which enabled campaign messages to engage with new audiences and be seen by many people. Collaborating with Make Sense, EDSA has designed a project to facilitate patient screenings and awareness events at university dental clinics. In 2018, the EDSA supported the Fifth Annual Awareness Week and managed to reach more than 30,000 people on Facebook. 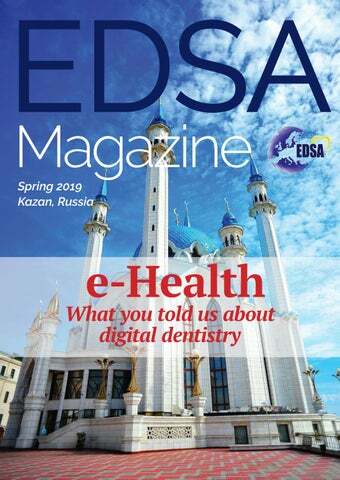 As the voice for generations to come, EDSA has an important role in promoting health and the best possible practices to the European dental professionals. After all, our proper action and early diagnosis can save a patientâ&#x20AC;&#x2122;s life! Dr. Camelia Roman, the youngest iTOP lecturer, in an interview on prevention. She is living in Cluj, Romania, and working as a professional dentist. them, someone will always try to resist. You have to convince them with good examples. How do you break the ice? I try to be a role model, to change my own habits. That is the first step. The second step is: I show my client all those clients, who feel better through the prevention program. But you are right, it is not always easy to find the right way and the right language to approach people. “A clean tooth cannot be sick” If someone resists, how do you convince him or her? I believe in something special: When the person realizes that resistance is no solution, he or she starts to think about other ways? Basically, I wait for that moment and I need to be patient. PUBLIC HEALTH to be how I really am. I always wanted to act in the same style. I am a responsible person. Why did you decide to become a dentist? Actually, I never thought to become one. Today, I would say that dentistry chose me rather than the other way round. I used to like biology, when I was at high school. That’s why I always wanted to do something related to biology. In that manner, medicine has always followed me. But the day before I had to specialize at the university, something happened: a few friends of my parents told me to think about dentistry. That time in Romania, it was almost impossible to become a dentist, if your parents weren’t dentists by profession. But my parents’ friends encouraged me, and I took dentistry as my first choice. Meaning: Sometimes you have to listen carefully? things can be. Life is not complicated and mostly a matter of choice. I wish that everybody knows, that a clean tooth cannot be sick. When you brush properly, things are easy. Most of us don’t know, how to do it. That’s why we have to learn all about prevention. It is our duty as professionals to teach and to be honest. Selling solutions for problems is nothing, prevention is everything. That’s iTOP. Best Behaviour: Nudging people towards better oral health The science behind making profit by predicting people’s actions and (oral) health are not quite related. Or are they? n a world where everyone strives for success and large corporations fight for profit, analyzing people’s choices and behavior can be of a great use. Behavioral science, thus, nowadays plays an important part in economics, which is testified by two Nobel Prize winning theories. majorly used in economics and profit making, could it be used in directing people toward making better health choices? And if it could be used in improving public health, could it also be used in preventing oral disease and improving oral health? Choice Architecture in Public Health Given the promising results in the domains of money saving, proenvironmental behavior, charity donations, and loss aversion, it is essential to think outside the box and imagine what effects nudges and message framing could have as public health strategies. Being the first step towards better health, healthy diet is among first and possibly the most common subject of studies conducted on applying the nudge and prospect theories in public health improvement. The best ways to promote healthy food are usually simple and inexpensive – making healthy food more visible and desirable. Thus, commonly used strategy is placing healthy food at eye level or at the cash register, which has an enormous impact on purchase choices (whose eye does not catch something else the minute you need to pay?!). Bacterial Breath Freshener How parococcus is providing a novel way to treat bad breath without disrupting the natural flora of the mouth. Could this be the next generation of treatments for oral malodour? without intermediates, in order to use them for energy. However, these compounds are also the same ones that cause bad breath. The recombination of these Sox enzymes (rSoxA, rSoxB, rSoxCD, rSoxX ,rSoxY, rSoxZ) leads to a significant reduction of H2S in almost two hours and the levels of H2S are stabilized from then on. This ensures that there is not only a temporary impact. Although this study was conducted in vitro and still needs a lot of work in order to come to a clinical stage, it is encouraging that the maximum efficiency of the enzyme complex happens at pH 7, which is close to the one of saliva in oral cavity. With this method of using rSox enzymes the aim is to find a natural way to deal with oral malodor while avoiding the negative effects of other traditional ways. For example, chlorhexidine rinses reduce, without specificity, attack the commensal bacteria that play a key role in the natural oral flora, without targeting the VSCs that are responsible for the smell. This is a key advantage of this novel therapy. Conclusion Taking into consideration all the above it is clear that the research on the treatment of oral malodor could be redirected to a different perspective avoiding chemicals that have detrimental side effects. Nature can offer solutions that are more biocompatible and less harmful. However, even if these data are promising, it would be premature to talk about the imminent use of these methods as they are still on experimental stage. Cost may be an obstacle to the implementation of these enzymes to everyday treatments or even to their shelf-life. In all cases, new roads could open to this research field so as to get fully rid of bad breathing. igital networking is changing the way we live. Products are becoming an increasingly intelligent part of our everyday life. Interconnected devices assume the function of little helpers, advisers and wizards. They show us how to get to places, coordinate our calendar and connect us to our friends. Ultimately, these tools give us back something that we can never have enough: time. The Internet of Things is no longer just a ‘future vision’ in dental practice. The new Implantmed Plus with its ioDent® system is the new smart assistant in implantology. which eliminates the time-consuming need for program steps to be configured manually. The program details can also be customized in the ioDent® user interface really easily. The defined settings may simply be sent to the Implantmed Plus at the start of treatment. Automated documentation process makes day-to-day work simpler Transferring documentation data using a USB stick is history with ioDent®, which enables automated data management. Be it torque progression, threading curve, drill protocol or implant stability values, all the documentation data can be transferred from the Implantmed Plus surgical device to the online platform. The benefit is not only the time being saved each day, but also the safety of having access to an overview of all the data at all times. Implantologists can give their patients an insight into the insertion data as soon as the treatment is finished and provide details about the progress. If the patient needs to be referred, all treatment documentation can simply be exported and sent to whoever is due to perform the posttreatment. More service with ioDent ® Are the devices working perfectly? Is a service due? Or is a device malfunctioning? With ioDent®, the user can easily obtain answers to all these questions and more. Using the ioDent® platform, users have a complete view of all their Implantmed Plus devices. ioDent® provides information not only on the device parameters, such as the first operation or the operating hours. The smart system from W&H informs the user about upcoming services and also warns users and W&H Service Support if malfunctions occur. W&H Service Support can therefore respond early, arrange any necessary repair measures and provide replacement devices even more quickly. This minimizes downtime and means resources are being used more efficiently. Alongside the smart ioDent® solution package, Implantmed Plus features a range of tried-and-tested product features including state-of-the-art design, a maximum motor torque of 6.2 Ncm and a motor speed range of 200–40,000 rpm. There is also a variety of optional product features that can be selected individually and retrofitted on request, such as the W&H Osstell ISQ module – a unique system for measuring implant stability. It’s all political: Why oral health has yet to become a global health priority EDSA VPPR James Coughlan discusses the issues in getting oral health recognised as a major global problem with Dr David Alexander, former FDI CEO and a worldrenowned expert in global oral health. GLOBAL HEALTH little cohesive external message portrayed by the oral health communities, with too many differing priorities and solutions. The presentation of oral diseases as a ‘neglected’ issue was also found to be inconsistent. At what cost? Part of the issue is that for most countries, the current model of dental care is financially unviable. Paying for treatment-based care carried out by a dentist is expensive and simply unaffordable for many countries, but there has been little impetus to move beyond this model of care towards a prevention first approach. Plenty of lip service is payed to prevention, while real investment in oral health prevention and promotion is stagnant or falling. Financial incentives are still largely based on paying for treatment rather than for health, as highlighted in a recent report by the Alliance for a Cavity Free Future (ACFF). A growing number of voices have touted dental therapists (also known as mid-level providers) as part of the answer to this conundrum. Europe has seen a slow move towards partial access, whereby patients can see a dental therapist without prior seeing a dentist, with the Netherlands leading the way, and the UK and France not far behind. The idea is that the majority of routine work carried out by dentists could be done by hygienists or therapists for a much lower cost, potentially more appealing to less developed economies. “In advocacy, we go in saying we need more money, more dentists and more dental schools, it reeks of self-interest. We need to change the dialogue to childhood development and school absenteeism, the added costs of managing other diseases emerging in our understanding of the oral-general health bidirectional relationships. There is now good data showing significant medical savings due ot dental interventions.” says Dr Alexander. Not everyone agrees. In their 2020 Vision paper, the FDI emphatically underlined their assertion that responsibility for diagnosis, treatment planning and treatment should be the sole responsibility of dentists: “delegation - yes, substitution – no”. Such a fundamental clash only underlines the disunity in the oral health community – a disunity that seeps through in the global political arena. IN HU-FRIEDY WE BELIEVE THE UNIVERSITY WORLD REPRESENTS THE FUTURE OF THE DENTAL SECTOR That's why we decided to make an important investment creating our dedicated Hu-Friedy University Program, developed to establish a direct connection between students, Universities, Institutions and our Company. Our main goal is to promote a high level of support for students and faculties, providing them with innovative products and solutions throughout their careers. Furthermore, we really think that behind an important project and a study path there is always a person or a group of individuals who have the same mission but different experiences and backgrounds. What makes the Hu-Friedy University Program stand out from any other company program, is the importance we give to the strength of the relationship between individuals and our dedicated team. Each student, tutor or professor will have a direct contact with us as a member of Hu-Friedy University Program and can count on our support from the beginning till the end of his or her professional growth. Thanks to this tool, each member can share their personal and professional experiences with the Community. When developing the University Program we thought about how we can grow closer to students and guide them in their career path. EASY ACCESS TO HU-FRIEDY WORLD Initially, we want to provide students with an exclusive opportunity to experience Hu-Friedy instruments with special purchasing conditions, along with unparalleled support from our Technical Care Center when making decisions on what options work best for them. PROFESSIONAL EDUCATION No matter is a member is a student, tutor or a professor all participants of HFUP have access to benefits specifically designed for enhancing their learning experience. The most important of these advantages is the opportunity to organize workshops, hands-on and trainings using Hu-Friedy loaner kits. Our experience along with the precious commitment of our Key Opinion Leaders have enabled us to create 250 kits worth of training stock including different setups to help cover the needs of various practice types. We also offer expert support as speakers for non surgical instrumentation, sharpening, IMS, suture courses and much more. NETWORKING AND COMMUNITY This continues to be the heart of the Hu-Friedy University Program concept. A dedicated website with a private area that gives members the ability to easily reach Hu-Friedy product portfolio, exclusive educational content and webinars, our growing social media platforms and more. We continue developing an online and offline community, based on content sharing event opportunities, professional meetings and entertainment activities that will be the bridge between the HFUP members and our team! WHATâ&#x20AC;&#x2122;S NEW? From January 2019, Giulia Gennaro, an active member of the Hu-Friedy team for years, started her role of University Program Coordinator EMEA as 2019. "I really believe that students are the future of our company and, besides sharing our experience, we can also learn a lot from them. My personal objective is to guarantee the same level of support for all the different study paths in terms of professional growth but also in terms of a concrete relationship with us! Letâ&#x20AC;&#x2122;s be all together the pioneers of a new vision in dental sector." Brexit and Dentistry: A European Perspective Ioana Onicas, Romania As the UK ponders it’s decision to leave the EU, we take a look at how Brexit will impact on dentistry and dental students from a European perspective. legislation, data protection regulations, research and development. EU dentist who work in The UK So far the Government confirmed that EU citizens and their family members that are resident in the UK by 29 March 2019 will be able to remain there and continue to work under the EU Settlement Scheme, which consist of 3 simple questions online. People will be asked to prove their ID, note any criminal convinctions and say if they live in the UK and the information will pe checked by the Gorvernment before giving the status settled of pre-settled. It is not possible to choose which one to apply for. The status depends on the period of living in the UK when the EU citizens is applying. The rights will be different depending the status type. Therefore the dentists who are are working in the present in the UK are safe for now. However, it is still a mistery how the timescales and requirements for applying for settled status will be, depending on whether there is a deal or nodeal Brexit. principally from our own dental schools, but in the shorter term, migration policy now and post-Brexit also needs to ensure appropriate availability of dentists.” The import of medicines and medical devices from Europe Apart from the lack of dental care professionals, another possible issue that will be caused by Brexit is related to medicines and medical devices exported from European countries that are part of EU. At this very moment it is questionable the future provision of medicines and devices used in dental practice. There is a big chance of a price rising that have to be covered by dentist. What is more, this affects both the dentist and the client, considering the fact that the price is prone to increasing. It is true to say that EU will suffer too, due to the fact that UK exports every month around 45 million packs of medicines to EU and EEU. Brexit: good or bad for dentistry? All things considered, it is reasonable to say that Brexit will have many drawbacks for dentistry. Nevertheless, it is up to us, the EU citizens and to them, and the UK citizens how will cope with this type of transformation so we can all provide the best services in dentistry. Patients with reduced mouth opening Getting patients to “open wide” is a common occurance when treating patients in dentistry. But what happens when your patients simply can’t do it and what are the effects on their management and treatment? less than 35 mm. LMO is a symptomatic condition which makes eating, swallowing and speaking difficult and results in poor bolus organization with frequent food aspiration. The orofacial pain seems to be the greatest problem, because it persists and it is associated with frequent use of painkillers, insomnia, mood disorders and depression. It also affects patient’s daily activities, social and family life as well as the ability to work. It seems that one-third of the patients suffers from anxiety and one-fifth suffers from depression at the time of diagnosis. CLINICAL dose fluorides (1 % gel or 3% toothpaste) lowers the incidence of post-radiation caries. Strict oral hygiene and noncariogenic food are important to support the effectiveness of fluorides (14). Dental examination Moderate LMO will pose difficulty in examination and treatment of all teeth. Severely limited opening may make examination of anterior teeth difficult, with only access to labial aspects. For these cases, bitewing radiographs are used to enable occlusal or proximal caries detection and dental panoramic tomograms to detect periapical status (8). Injection of local anesthetics In the absence of other specific conditions, all patients can receive local anesthesia containing epinephrine unlike those with scleroderma because it can worsen the microangiopathy (1). Modifications of inferior alveolar block technique as well as Vazirani-Akinosi technique may be performed (15). Conservative and endodontic treatment Long sittings during dental procedures should be avoided. Oral use of benzodiazepines before dental treatment can be helpful to achieve appropriate anxiety control and muscle relaxation (16). Saliva ejectors and aspirators of smaller diameter may be more appropriate to adapt in patient’s mouth. It is recommended to use small-sized or short-shaft dental burs and small-sized head instruments with careful manipulation. For the majority of occasions it is advisable to attempt a simple line of treatment initially to gauge patient’s response accordingly (8, 11). fibrodysplasia ossificans progressiva with review of literature. CRANIO®, 36(5), 341-349. (11) Torres CP, Gomes-Silva JM, Mellara TS, Carvalho LP, Borsatto MC. (2011). Dental care management in a child with recessive dystrophic epidermolysis bullosa. Brazilian dental journal, 22(6), 511-516. (12) Zigdon H, Gutmacher Z, Teich S, Levin L. (2011). Full-mouth rehabilitation using dental implants in a patient with scleroderma. Quintessence International-Journal of Practical Dentistry-English Edition, 781. (13) Patel M, Shackleton JA, Coogan MM, Galpin J. (2008). Antifungal effect of mouth rinses on oral Candida counts and salivary flow in treatment-naïve HIVinfected patients. AIDS patient care and STDs, 22(8), 613-618. (14) Vissink A, Burlage FR, Spijkervet FKL, Jansma J, Coppes RP. (2003). Prevention and treatment of the consequences of head and neck radiotherapy. Critical Reviews in Oral Biology & Medicine, 14(3), 213-225. (15) Malamed S.F. Handbook of local anesthesia. 5th ed. Elsevier Health Sciences 2014. (16) de Morais HHA, Barbalho JCM, de Holanda Vasconcellos R J, Landim FS, da Costa Araúj FA, de Souza Dias TG. (2015). Comparative study of hemodynamic changes caused by diazepam and midazolam during third molar surgery: a randomized controlled trial. Oral and maxillofacial surgery, 19(3), 267-273. (17) Cheng AC, Wee AG, Shiu-Yin C, Tat-Keung L. (2000). Prosthodontic management of limited oral access after ablative tumor surgery: a clinical report. The Journal of prosthetic dentistry, 84(3), 269-273. (18) Hameed, M. H., Zafar, K., & Ghafoor, R. (2018). Management of oral complications in irradiated head and neck cancer patients: Literature review. IJS Short Reports, 3(1), 15. (19) Cura C, Cotert HS, User A. (2003). Fabrication of a sectional impression tray and sectional complete denture for a patient with microstomia and trismus: a clinical report. The Journal of prosthetic dentistry, 89(6), 540-543. (20) Vinayagavel K, Sabarigrinathan C, Manojkumar PA, Jeyanthikumari T, Harishnath, V, Rajakumar M. (2015). Mandibular split denture in a case of reduced mouth opening- A case report. International Journal of Research in Health Sciences, 3(2), 315-318. (21) Basavanna JM, Raikhy A. (2013). Sectional Denture for Microstomia Patient: A Clinical Report. International Journal of Prosthodontics & Restorative Dentistry, 3(2), 62. Antimicrobial Resistance - the 21st centuryâ&#x20AC;&#x2122;s biggest threat? Antimicrobial resistance is a major global issue, with many commonly used antibiotics becoming useless against infections. As healthcare professionals, dentists should be aware of their prescribing of antibiotics - our Prevention Officer tells us more. 2010), RIP Freddie! That means we do not have efficient drugs against all types of microbes! Does AMR means we are going back to the XIXth century? that treat chronic conditions, A cost– benefit analysis by the Office of Health Economics in London calculated that the net present value of a new antibiotic is only about $50 million, compared to approximately $1 billion for a drug used to treat a neuromuscular disease. The World Health Organisation launched a Global Action Plan in 2015, with 5 objectives : 1: Improve awareness and understanding of antimicrobial resistance through effective communication, education and training 2: Strengthen the knowledge and evidence base through surveillance and research 3: Reduce the incidence of infection through effective sanitation, hygiene and infection prevention measures 4: Optimize the use of antimicrobial medicines in human and animal health 5: Develop the economic case for sustainable investment that takes account of the needs of all countries, and increase investment in new medicines, diagnostic tools, vaccines and other intervention. This Plan is executed by the European Center for Disease Control on a continental scale, along with the WHO European Regional Office. education. We have also been pushing the agenda in other European fora. In December we represented dental students in discussions with other European healthcare stakeholders, including the EU commission, in looking at how a One Health approach can be implemented in the undergraduate curriculum signing the press release calling for further work in this area. Furthermore, we were vocal advocates in pushing the student AMR agenda at the ECDC Antibiotics Awareness meeting in Brussels. Our online awareness campaigns have reached thousands of students, and we will continue to work on this area in future years. As dental students, it is important for us to anticipate the big issues that we will face in our lifetime. The issue of AMR is not going anywhere, and it is our generation that will have to deal with it. We must be ready. IADS Guest Article: TNT Bucharest Our friends from the International Association of Dental Students tell us more about their ‘Training New Trainers’ scheme which took place in December 2018. The Netherlands has had the most presidencies of any country, with 6 terms. The last president from the Netherlands was in 2012, when Hassib Kamell held the role. Yet the Netherlands has another reason to go down in the EDSA history books, as the longest serving president and the longest serving committee member both come from itâ&#x20AC;&#x2122;s flat lands. Amazingly, both of these titles go to the same person: Ward van Dijk. Many people have been on the committee for 3 years, including our current president, Alyette Greiveldinger, but none have yet managed to match Wardâ&#x20AC;&#x2122;s record, set 26 years ago. 9 18.08.-23.08.2019 Save the date and be part of the first EDSA Meeting in Germany. Youâ&#x20AC;&#x2DC;ll meet awesome people and get an extensive programme. Registration will open in December 2018! The smartest solution for optimal treatment plannings. Your best connection to the future. The Internet of dental things. An up-to-date smart solution for Implantmed and other innovative products by W&H. Profit from optimized workflows, cloud-based analysis, audit-readydocumentation, automized service-cycles and many advantages more. For a simpler, faster and more efficient everyday practice and thereby more time for you and your patients. First published at the 63rd EDSA meeting in Kazan 2019.